Short description: In case you want an incredibly quick and effective website, you are in the right place! 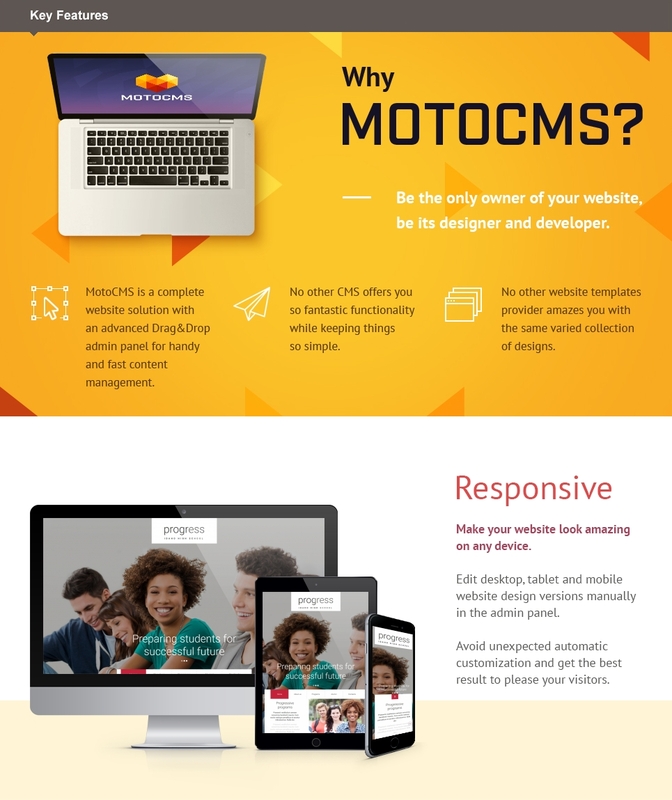 Our Education Services Responsive Moto CMS 3 Template will help you build any kind of educational or writing related website. Easy and lightning-fast installation gives you an opportunity to concentrate on the significance of your content. You can set the content with ease without any help, no programming skills are needed. Due to the easy installation process, even a newbie can do it. Give your website a truly remarkable appearance on any display with the responsive design and cross-browser features. Strong visual effects make your text and visuals easy and pleasant to grasp. 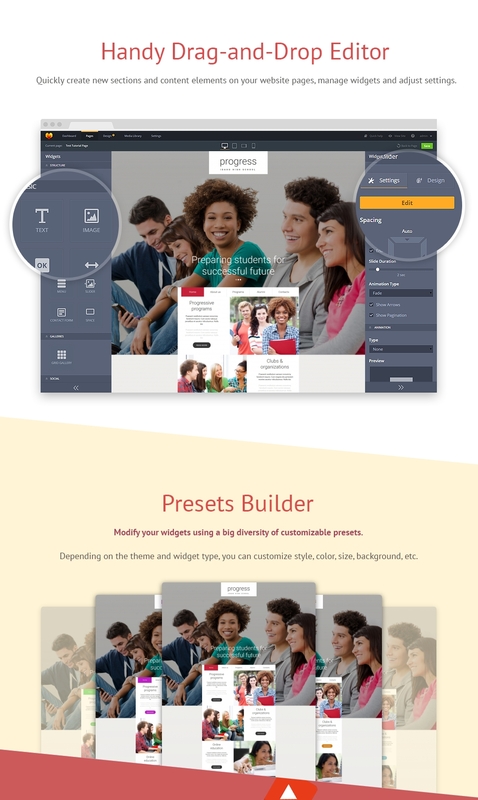 This Education Services Responsive Moto CMS 3 Theme allows you to use a collection of ready-made pages and stock photos. Absolutely comprehensive and easy navigation, complemented with neat product presentation, will help you attract your customers' attention providing them with a high-quality user experience. Launch a free 14-day trial offer to discover all the possibilities. Build a responsive website for high school with confidence! If you want to get professional help, our free 24/7 lifetime support is always there to help you.